What is life? Everyone is curious about life-whether a scientist, a philosopher, a poet, an artist or a religious man or woman. We all want to know about the reality and purpose behind our existence-“Why are we born?”, “why do we die?”, “why do we suffer with diseases and old age?”, “what is our ultimate destination?” The Austrian physicist Erwin Schrödinger, although not a biologist, wrote a classic monograph-What is life? in 1944. A sincere attempt to have a clear understanding of life either scientifically, philosophically and religiously is of foundational importance and it will have important impact on our life and our world-view. In this paper, the author first presents an overview of modern scientific theories of life and evolution and their incompleteness to explain life. Subsequently, in a separate article he presents an alternative paradigm of life from the Vedantic perspective. When the bodies of living organisms are chemically analyzed, we find that they are primarily made up of four elements (H, 0, N and C). Chemicals such as water, proteins, lipids, carbohydrates and nucleic acids constitute 95% of all the molecules present in the body of a living organism. Thus it is tempting to conclude that life could be a product of complex chemical reactions. Based on this concept, practically all research works about life’s origin are focused on the possible synthesis of small and large molecules that make up the bodies of living organisms. 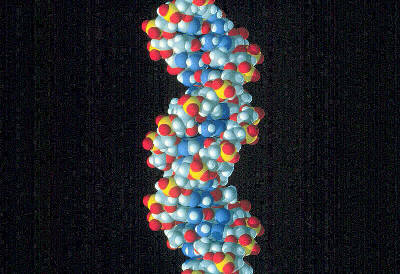 But is DNA or RNA molecule life? Will a combination of synthetic biomolecules lead to life? If life is made of chemicals, what will be the difference between life and death? Do the scientists really study life? According to modern biology, the smallest unit of life is called a cell. All living organisms have cells. Organisms such as bacteria and protozoa have single cells whereas higher living forms like human beings have billions of cells. Cells contain many simple, inorganic chemicals like water and inorganic ions. However, complex organic molecules such as proteins, RNA (Ribonucleic Acid), DNA (Deoxyribonucleic Acid), lipids, etc., provide for most of the essential biological functions of the cell. Scientists, in the field of biology, study life and its origin in terms of these biomolecules. They attempt to generate a living cell by combining these biomolecules. Many biologists and evolutionary chemists – such as Oparin, Fox, Miller, Orgel, Ponnamperuma and many others made extensive experimentation to generate life from molecules. Various models have been proposed for understanding how life may have generated from chemicals on earth such as Oparin’s model of coacervates, Fox’s model of protenold microspheres, Cairns-Smith’s model of clay as our grandfather, Christian de Duve’s thioester model, Miller’s electrical discharge reactions to simulate lightening in a so-called primordial gaseous mixture of H2, H2O, NH3, CH4, etc., of the presumed primordial or early earth. It is interesting that Miller himself, one of the main pioneers of prebiotic chemistry, has recently stated, “We really don’t know what the Earth was like three or four billion years ago. So there are all sorts of theories and speculations. The major uncertainty concerns what the atmosphere was like. This is a major area of dispute.” It is beyond the scope of this paper to describe all these models here. However, the author would like to mention that all these models do not show any sign of generating a living cell till the present time. In late 1960’s several biologists including Crick, Carl Woese and Leslie Orgel suggested that the ancestor molecule was neither DNA nor protein but RNA. RNA, they suggested, might have catalyzed reactions necessary for replication as well as providing the genetic information necessary to replicate itself. Self-replicating RNA based systems would have arisen first, and DNA and proteins would have been added later. DNA could evolve from RNA and then, being more stable, take over RNA’s role as the guardian of heredity. This idea further got support in early 1980’s from the independent discoveries of Thomas Cech and Sidney Altman of a kind of RNA that catalyzes a reaction. These catalytic RNA molecules have subsequently been termed as “ribozymes”. In 1986, Walter Gilbert, in an article in Nature, portrayed the primordial world as ‘RNA World’ where RNA molecules catalyze their own synthesis. Since then, the term ‘RNA World’ has stuck to the general hypothesis-RNA first, DNA and protein later and researchers continue to discover new functions for existing RNA, illustrating repeatedly how versatile these molecules can be. RNA world assumes that in the primordial world, ribonucleotides spontaneously condense into polymers to form RNA molecules and RNA molecules once formed would have the catalytic activity to replicate itself, and a population of such self-replicating molecules would arise. However, it is objected that even if RNA could have formed spontaneously, it would have been continuously degraded by spontaneous hydrolysis and other destructive processes operating on the primitive Earth. Joyce and Orgel points out many detailed problems with these postulates of RNA world. They finally suggest not to accept “the myth of a self-replicating RNA molecule that arose de novo from a soup of random polynucleotides. Not only is such a notion unrealistic in light of our current understanding of prebiotic chemistry, but it should strain the credulity of even an optimist’s view of RNA’s catalytic potential.” Similarly, Francis Crick has expressed great doubt about the RNA world. He says, “At present, the gap from the primal “soup” to the first RNA system capable of natural selection looks forbiddingly wide.” Thus the chemical concept of life does not seem to be very promising. Karl R. Popper, “Reduction and the Essential Incompleteness of All Science,” Studies in the Philosophy of Biology, eds. Francisco Jose Ayala and Theodosius Dobzhansky, 1974, p.271. Carl Woese, The Genetic Code: The Molecular Basis for Genetic Expression, New York, Harper and Row, 1967; F.H.C. Crick, “The Origin of the Genetic Code”, J. Mol. Biol., 1968, 38:367379; L.E. Orgel “Evolution of the Genetic Apparatus,” J. Mol. Biol., 1968, 38:381-393. K. Kruger, P.J. Grabowski, A.J. Zaug, J. Sands, D.E. Gottschling, and T.R. Cech, “Self-Splicing RNA: Autoexcision and Autocyc1ization of the Ribosomal RNA Intervening Sequence of Tetrahymena,” Cell, 1982,31:147-157; C. Guerrier-Takada & S. Altman, “Catalytic Activity of an RNA molecule prepared by transcription in vitro”, 1984, Science, 223:285-9. Walter Gilbert, “The RNA World,” Nature, 1986, 319: 618. G. Joyce, “RNA evolution and the origins of life,” Nature 338 (1989): 217-224; T.J. Gibson and A.I. Lamond, “Metabolic complexity in the RNA World and implications for the origin of protein synthesis,” J. Mol. Evol. 30 (1990): 7-15; G.F. Joyce and L.E. Orgel, “Prospects for understanding the origin of the RNA World,” in The RNA World, eds. RF. Gesteland and IF. Atkins, New York, Cold Spring Harbor Laboratory Press, 1993, pp.1-25. Leslie E. Orgel, “The Origin of Life on the Earth”, Scientific American, 1994, vol.271, No.4, pp.76-83. Also refer R Shapiro, “The improbability of prebiotic nucleic acid synthesis,” Origins of Life 14 (1984); 565-570; R Shapiro, “Prebiotic ribose synthesis: a critical analysis,” Origins of Life 18 (1988): 71-85; R Shapiro, “The prebiotic role of adenine: a critical analysis,” Origins of Life and the Evolution of the Biosphere 25 (1995): 83-98. Rosa Larralde, Michael P. Robertson, and Stanley L. Miller, “Rates of decomposition of ribose and other sugars: Implications for chemical evolution,” Proc. Natl. Acad. Sci. USA, 1995, 92: 8158-8160. The ribose half-lives are very short, Larralde et al. report: 73 minutes at pH 7.0 and 100° C and 44 years at pH 7.0 and 0° C.
 C. Thaxton, W. Bradley, and R Olsen, The Mystery of Life’s Origin, New York, Philosophical Library, 1984. G.F. Joyce and L. E. Orgel, “Prospects for understanding the origin of the RNA World”, The RNA World, eds. RF. Gesteland and I.E Atkins, New York, Cold Spring Harbor Laboratory Press, 1993, pp.I-25. Also refer Gordon C. Mills & Dean Kenyon, “The RNA World: A Critique”, Origins & Design, 17:1, 1996. Francis Crick, “Foreword”, The RNA World, eds., RF. Gesteland & I.F. Atkins, 1993, p.xiii. This entry was posted on Thursday, November 12th, 2009 at 1:18 pm	and is filed under Challenges/Evidences, Origin of Life & Matter. You can follow any responses to this entry through the RSS 2.0 feed.